Whether you are looking for cheap project management training, low cost PRINCE2®, cheap programme management, low price IT service management or any other cheap best practice training for that matter, there is never any harm in trying to save money. We all like to feel that we have made saving where we can. But sometimes we need to make sure that saving now will not end up costing us in the long run. Here at SPOCE, in our 25 years as a world leading best practice management training provider we have dealt with many delegates who have had an unhappy experience paying for cheap training and finding that this has fallen far shorter than expectation. We know so much about value Vs cheap that we are somewhat experts on the subject. We've even made a short film about it. 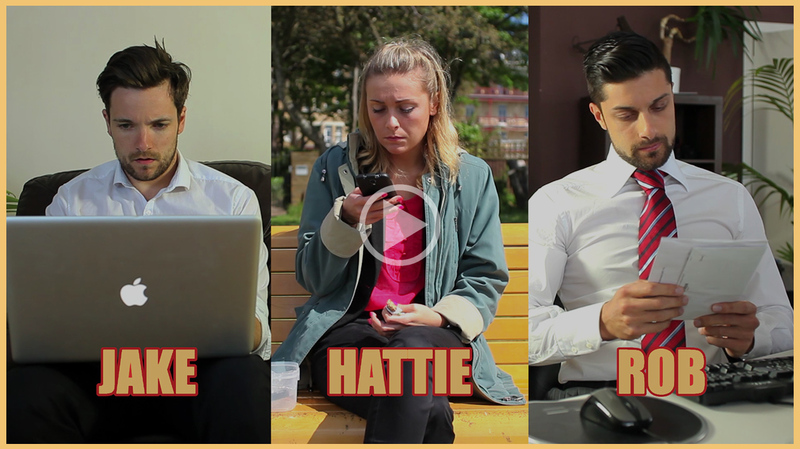 Click below to view Hattie, Jake & Robs experience with cheap training. Here at SPOCE, we want to make sure that you don't fall into cheap training trap. Take look at our comparison table below where we outline just some of the things that could be to your cost by booking a cheap training course over real value. Trainers can often be disengaged, inexperienced and unsupportive. Training has evolved over many years of course delivery and lessons applied. Methods are taught to be applied to real working situations by carefully selected trainers. You pay an initial fee then find that course material and resources are extra. You will pay nothing more than your initial fee. You have booked on your course, you've done your prep, you're all set….then your course is cancelled. Small classrooms with poor lighting and too many delegates cramped into small spaces. Only ever a maximum of 16 delegates per class and always good lighting and desk space. No course workbook, course aftercare or basic classroom and exam facilities. Your own personal manual, free pre-course and after course care and free course resources to help you through your course and beyond. I am very grateful to Spoce Project Management Ltd for delivering successful MSP and PRINCE2 courses at Harrow. This gave us the perfect grounding to set up a corporate PMO at a time when the Council began its journey to transform services. We now have an established cross council programme with good project and programme management arrangements in place. The PMO continues to improve and are currently reviewing arrangements in preparation for the next phase of the programme. I have no doubt that the learning experience with Spoce played its part in giving us the confidence to set up and deliver our transformation programme. We&apos;re an accredited training and consulting organisation specialising in Project, Programme and Risk Management Best Practice Methods - holding the distinction of running the world&apos;s first ever PRINCE2® & MSP® training courses. As a founder member of the ASPECT charter (Association for the Promotion of Excellence in Consultancy and Training), SPOCE wrote the rulebook on quality best practice management. Click here to Read more about our minimum quality requirements.